Better Off Bowling is a non-competitive bowling organization that focuses on having fun and meeting new people. Many of us play kickball, softball, or other social sports during the Summer/Fall, but in the winter like to hang out, bowl, and maybe have a few drinks with friends. How does the bowling league work? Each bowling session is made up of 6 weeks (we usually skip holidays, the Super Bowl, etc). You will have about an hour and half to bowl (usually 1-3 games) each week, then everyone heads to our after-bowling bar for a little bit. 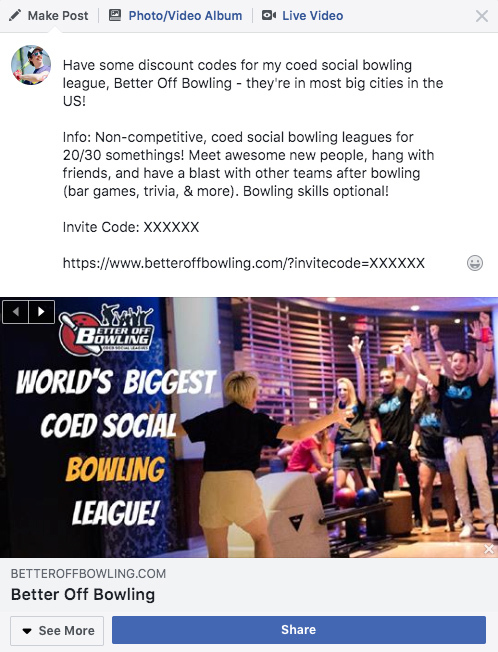 Because we're a large group, we negotiate discount rates with the bowling alley, so bowling with us is a great deal, on top of free shoe rentals and fun events, like bar crawls and/or end of season parties. How do I register for a bowling league? Go to the 'Bowling Leagues' menu and pick the city you’re interested in. If registration is open, you should see a registration button on the upper left, otherwise it will say when the next registration opens. If registration is open, just click “Register” and follow the prompts! All the info (price, location, dates) is on the right-hand sidebar of the league page. Once you’ve signed up, you can start a team, join a team, or join as a free agent. I want to join, but I don't have a team. Lots of people join without having enough people for a team (you need 6-10 people for a team). One option is to join the “Free Agent” team, made up of other individuals. Another is to create a team with one or two other friends, and invite free agents to join you. However, you are not guaranteed a spot until you have a team of at least 6. I want to sign-up, but it says that registration isn’t open. What should I do? Our sessions run in 6 weeks, taking weeks off for holidays, etc.. Check out the league page to see if it says anything about when the session ends; a new session will probably open for registration around that time. 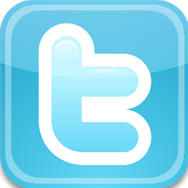 In the meantime, add yourself to the league mailing list (lower right part of league page), and/or follow us on Twitter or Facebook (links on the upper left part of the league page). How do I get people on my team? Only captains can invite players to the team, but the original captain may specify other co-captains. First, go to the team page by clicking on “My Teams” from the Home page, or by clicking on your team on the upper left corner of the league page. You can then invite users via email or Facebook, browse free agents/past teammates on the site, or search through existing BOB users and invite them. I am a terrible bowler. Is that a problem? Absolutely not. Most of us aren’t too skilled when it comes to bowling, but as long as you’re fun and social, nobody cares! Am I guaranteed a spot? What happens if I don’t find a team, or my team doesn’t get enough people to join? Teams are guaranteed a spot when they have the necessary 6 members on their team. All users must have paid and have accepted the invite/request. Users who do not have the full six team members may be combined with other bowlers to make a full team when registration ends. If the season is completely full and there is no room, the users may be fully refunded. First, you sign up on the website, then you can register for a league, and start a team, join a team, or be a free agent. Eventually registration will end and the season starts. You’ll get emails from the president about bowling and the bar, and automated emails from the website on when you bowl. You’ll meet your team at the bowling alley, get your shoes from the front desk and look at the schedule there to see what lane you’re on if you forgot. You then bowl for an hour and a half, and your captain will record your scores (can usually get a printout from the front desk at the alley). Then everyone heads to the bar to hang out, maybe have a few drinks, and socialize with fellow bowlers. I’m worried about privacy – I don’t want my boss to find out I’m in a super awesome bowling league! Should I worry? Nope. Google cannot cache pages with full names, so everything is private. You have the option of going into your profile or privacy settings to make it so that only your first name and last initial appear if you’re super worried. Or you could just use a different last name, which is fine with us. If you need to change your name, email us at support@betteroffbowling.com. Teams can be 6-10 people, and everyone bowls. However, only the top 4 bowlers from any one game count for your team's score that week. If you get in more than one game, you cannot combine scores, say George’s score from game 1, and Sarah’s score from game 2. All scores need to be from one game. However, we record the best scores from each individual as well, so we can keep individual statistics. Even if George’s team doesn’t use his awesome game 2 score (they use game 1), as an individual, he still gets to use his game 2 score. The captain of the team is responsible for entering all the scores on the website after bowling. Note that it is a courtesy that scores are printed by the bowling alley; captains should always record scores just in case. What’s up with the profiles and friends thing? Basically it all comes down to us being a social league. 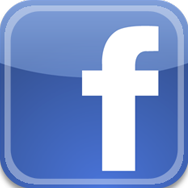 If you’re hanging out at the bar, meet some cool people from the Pin Ninjas, you can then find the people you hung out with and get in touch with them, add them on Facebook, etc. Also, we have a “Friend” standings, that compares your individual ranking to people you are friends with on the website. Great way to compete with your friends who you aren’t necessarily bowling against! How do the standings work, and what are “awards” all about? The most important standings, which determine the eventual team playoffs and championship team, are the overall team rankings. These are determined first by win-loss-tie ratio, then by team average. However, we also have weekly team rankings, overall and weekly individual rankings, and even friend rankings (how you rank among the people you are “Friends with” on the bowling site, within your session). There are a number of awards you can get, both for being social (e.g., the Flipcup All-star award) given out by the commissioners, and other awards such as the 150 club (bowling a 150 or above), etc. You’ll have to discover most of the awards yourself, but when you get them, you have them forever on your profile, and you can publish them to Facebook if you feel like reminding your friends that you dominated them in the alley/bar. What should I do if I found a bug in the website? Our website is relatively new, so thanks for spotting a bug! 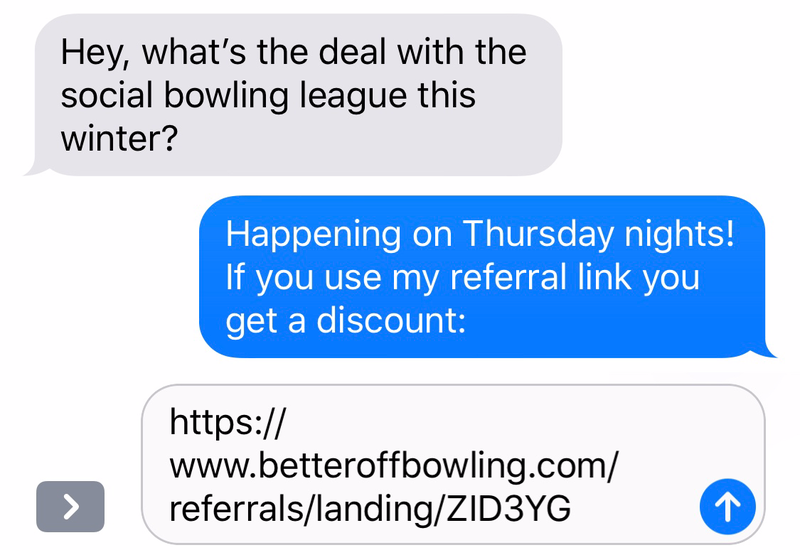 If you could email us at bugs@betteroffbowling.com with as detailed of a description as you can, we’d really appreciate it. I just moved/got a new job/etc, but the season has already started. Can I get a refund? Unfortunately we can’t offer refunds once the session has started, but you can get a friend to replace you if you like. 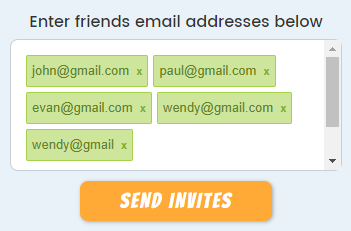 Just email us the friend's name/email, the team name, and your name/email, and we’ll switch you two out. How do I add/remove personal info? After you log in, click on “Home” under the home menu, then click on “Edit Profile” on the lefthand side. Can I pay for friends? Yes. After inviting your friend, click the "Pay for Teammate" link next to their name in the roster. Note that you must be a captain or co-captain to invite and/or pay for someone. Do you support company teams? On the season page, click 'Learn More' under the heading 'Corporate Team?'. This is on the right side of the page.